The Youcan Evolve Plus XL Wax Kit comes with a build-in 1400mAh battery and a 22mm diameter atomizer. The Evolve Plus XL kit features unique QUAD Quartz Rod Coil and bottom adjustable airflow. The wax kit is compact and portable, with five available colors. The Youcan Evolve Plus XL Wax Kit is a pen-style kit for wax and concentrate vapers. 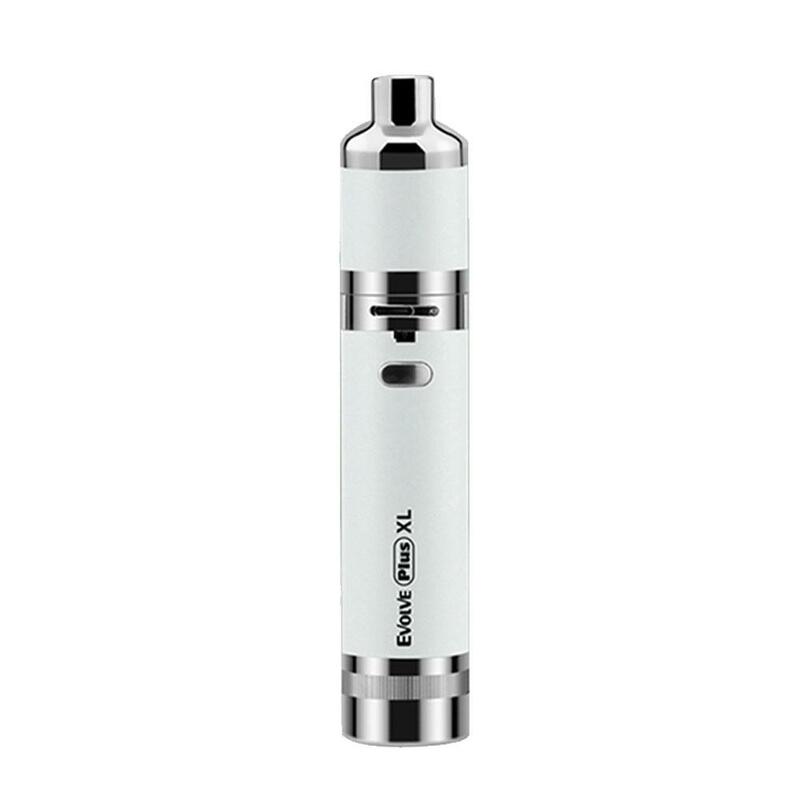 The kit comes with a build-in 1400mAh battery and a 22mm diameter atomizer. The Evolve Plus XL Wax kit adopts innovative QUAD coil technology by using 4 quartz rod coil to bring giant clouds and intense throat hit. The kit features bottom adjustable airflow and the magnetic connection between atomizer tube and base. The wax kit is compact and portable, and it can be charged via micro USB port. Black, Champagne Gold, Luminous Color, Rose Gold and Silver colors are available. • No VW or VT function.